Citroen DS3: on video | What Car? 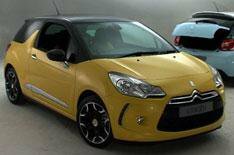 Citroen is launching its DS3 supermini in the Spring, but we invited What Car? readers to join us for an exclusive preview. See what they had to say about the shark fin styling and just how practical the DS3 would be to use.